Want to completely change the look of your cabinets without replacing them? It’s time for refacing from JV Cabinet Makers. 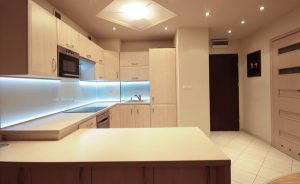 Your cabinets play an essential role in your home. They safely contain your belongings and provide a finished look to any room. They are made to last a long time, which is generally a great thing. However, it may mean your cabinets look like they’re from another era. While nostalgia suits some people, it isn’t for everyone. Additionally, cabinets get a lot of usage, which can leave them looking dirty, scratched, and generally ratty over time. If your cabinets look tired and outdated, we have good news for you: investing in all new cabinets isn’t necessary! Update the look of your kitchen at a fraction of the cost. 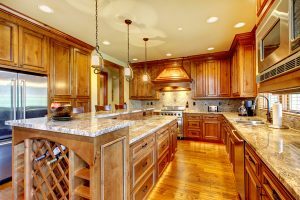 Like any essential part of a home, cabinets are expensive to replace, and that is what makes cabinet refacing so great. You may be thinking we’re just talking about sanding your cabinets down and applying new finish, but refacing is much more than that. When we reface your cabinets, we carefully remove the exterior panels of your cabinets and drawers, leaving the inner framework alone. The old panels, moldings, and drawer boxes go away and are replaced with wood or laminate veneer material. Because everything you see changes, this is your opportunity to radically change everything. You can change color, material, door style, and hardware. The sky’s the limit! Cabinet refacing not only costs less, it creates less waste by keeping some material out of the landfill. Traditional or Modern, We can do it all. It also takes less time and won’t disrupt your life as much as complete replacement would. You can use the extra funds and time to install new countertops or hardware. Refacing is truly the most effective way to transform any room with cabinets, whether it’s the kitchen, the bathroom, or the family room. The team at JV Cabinet Makers is highly trained and experienced in cabinet refacing. We will always treat your home with care and ensure you get the enhanced results you’re looking for.